The North American fertilizer industry is experiencing a revival. Declining natural gas pricing is fuelling increased production of ammonia, an energy-intensive building block of nitrogen fertilizers. More than 50 major fertilizer capital projects have been announced over the last 2 years in North America, with overall investment of more than $30 billion.1 Publicly announced fertilizer-related investments are estimated to cost in the upward of $500 million or even $1 billion and can be categorized as megaprojects. These large, complex investments embody many of the complexities a capital venture can have. Megaprojects tend to have high numbers of stakeholders and partners, multiple distinct scope elements, large numbers of interfaces, extensive infrastructure requirements, difficult regulatory environments, inadequate local labor supply, difficulties in adequately staffing the project, and other dimensions of complexity. The majority of fertilizer owner companies have limited experience developing and executing projects of this size and complexity, especially in North America. The most recent world-scale natural gas-based fertilizer plant in the United States was built almost 25 years ago. These projects are the largest for their companies in recent or even overall history. Limited owner experience in developing and executing these projects, combined with a challenging project environment due to the increased number of capital projects in the United States, will make capital project excellence more difficult. IPA data on the performance of more than 300 industrial megaprojects show that these large, complex projects fail too often for comfort. Large cost overruns, major delays, poor operability, and far too many safety incidents characterize well over half of the industrial projects around the world. Upon examining the reasons behind the failures, IPA discovered that the damage is largely self-inflicted. IPA found that the path to megaproject failure is usually laid out early in the development of the basic business strategy and timetable for the project. Failure to align stakeholders effectively early in the project and develop the basic technical data package sufficiently leads to major disappointment. The standard project development process—Front-End Loading 2 —must be augmented with an effective shaping process to yield successful results. Even seemingly small mistakes during project planning prior to full-funds authorization often spur a cascade of failures all the way through execution. IPA data further show that fertilizer large project and megaproject performance is not different from Industry overall. IPA’s database contains over two dozen global large capital fertilizer projects with an average investment of more than $630 million. 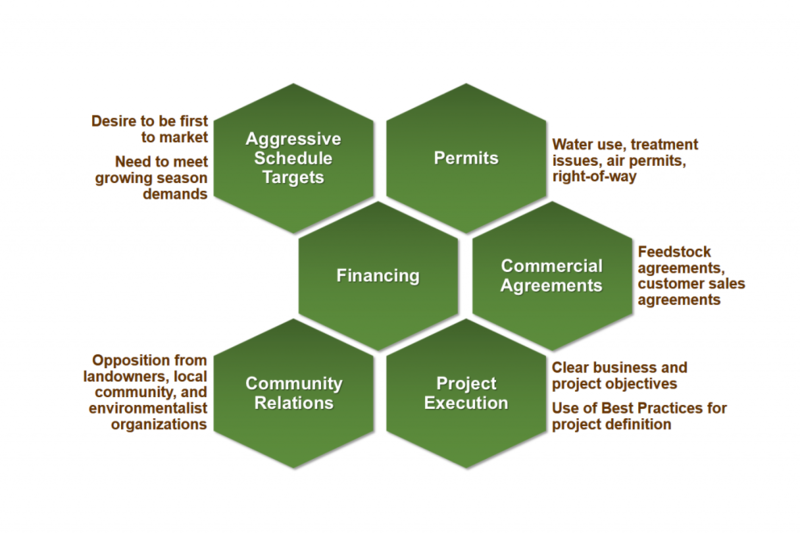 Figure 1 (right) shows that fertilizer projects struggled with a number of project shaping issues, including community relations, permitting, and financial and commercial agreements. Currently ongoing fertilizer projects are not faring better. It appears that a number of owner companies proceeded into project execution prior to bringing all stakeholders on board with the proposed investment. Several announced projects are facing continuing local opposition to proposed plant locations and challenges to permits for water usage, discharge of used water, and rights-of-way. Much of the local opposition stems from concerns about undesirable air emissions, increase in wastewater, water quality issues, and even emergency preparedness. Local communities are worried about the effect that these facilities could have on local housing values or that the increased truck traffic might have on smaller rural communities. These issues stem from a “not in my backyard” fear, fuelled by recent safety accidents that have been widely publicized. Without adequate community alignment, these projects are likely to continue to experience schedule delays and cost growth. IPA data also show that, historically, many large fertilizer projects suffer from more than poor shaping issues. Over 75 percent of these projects did not follow industry Best Practices for project definition and proceeded into execution without integrated and adequately representative teams, with inadequate understanding of the site conditions, and poorly defined scopes of work and execution plans. It is not surprising that most had disappointing results. 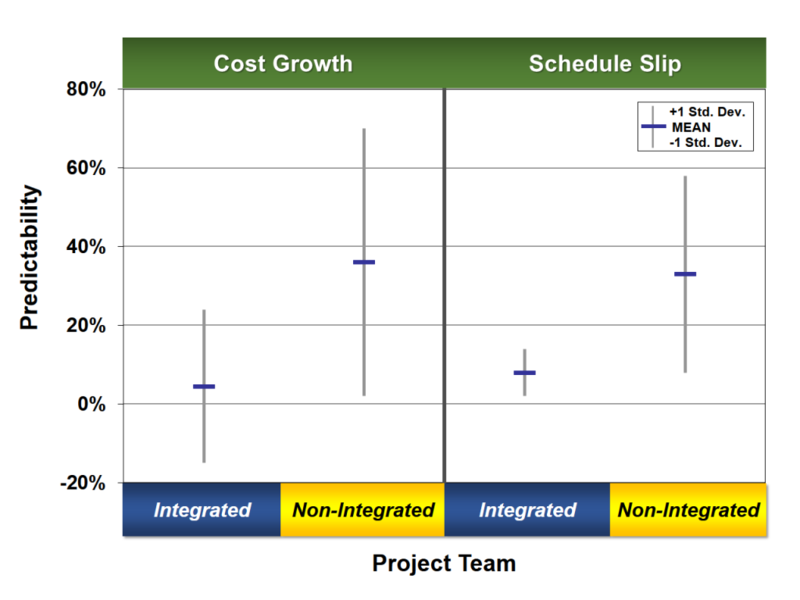 As shown in Figure 2, fertilizer projects without adequate representation from all needed functions (team integration) 3, on average, experienced 36 percent cost growth and 33 percent schedule slip. This means that a $630 million project—an average project size in IPA’s fertilizer database—spent an additional $220 million and took 10 months longer to execute than similar projects with integrated teams. To add additional pressures to fertilizer projects, the current market for capital projects is challenging in North America and is expected to become even more difficult in the coming years. Large fertilizer projects have been planned at the same time that a significant number of chemical and refining companies have also announced and are executing large infrastructure improvements or greenfield projects to also take advantage of the cheap gas. It is this flood of capital spending in the United States that threatens to once again strain project supply chains, forcing companies to find and procure engineering services, materials, and equipment for their large projects earlier. The level of overall capital project activity in North America is expected to surpass the levels of the previous hot market in the United States from 2004 to 2007. IPA data show that the failure rate for capital projects—projects that experienced more than 25 percent real cost growth or execution schedule slip or incurred a fatality—doubled during the last heated market. Failure modes were directly related to project supply chain issues. In particular, stretched supply chains forced companies to compete for limited engineering contractor resources. The number of engineering changes increased and engineering quality declined. In addition, projects that maintained the planned start date of construction after engineering had slipped had poor field productivity. These factors contributed to the 60 percent failure rate of large projects between 2004 and 2007 compared with the pre-hot market failure rate of approximately 30 percent. What Can Fertilizer Companies Do? It would be easy to say that given these macro-trends it is unrealistic to expect good outcomes in the current market. However, this is a mistake. IPA routinely collects data on capital projects with excellent outcomes that are executed under the most trying conditions. 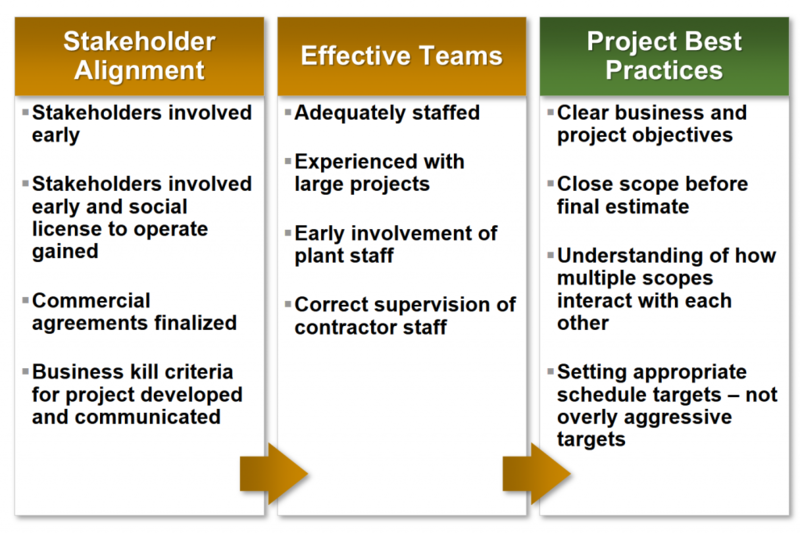 Figure 3 shows that what separates them from less successful projects is their steadfast dedication to using Best Practices, including project shaping approaches and stakeholder alignment; adequate, appropriate, and timely resource deployment; proper project definition; and discipline during execution. IPA has volumes of data to show that the use of these Best Practices will help tilt the odds of success in a company’s favor. 1 This is from the publicly announced values. Some of the projects have not announced a capital spend, so the number in reality is higher. 2 Front-End Loading (FEL) is a process by which a company translates its marketing and technology into capital projects. The objective of FEL is to gain a detailed understanding of the project to minimize the number of changes during later phases of execution. 3 Team integration measures whether all functions that can influence the project’s outcomes are represented on the project team and whether the team is adequately staffed. In addition, the functional representatives must be active participants on the team and have the authority to make decisions for the functions they represent.